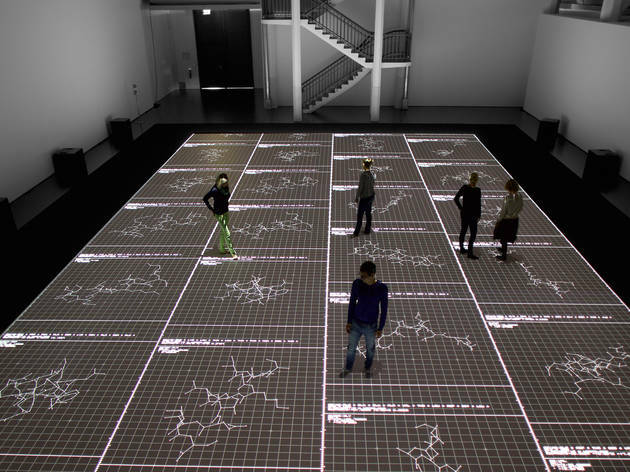 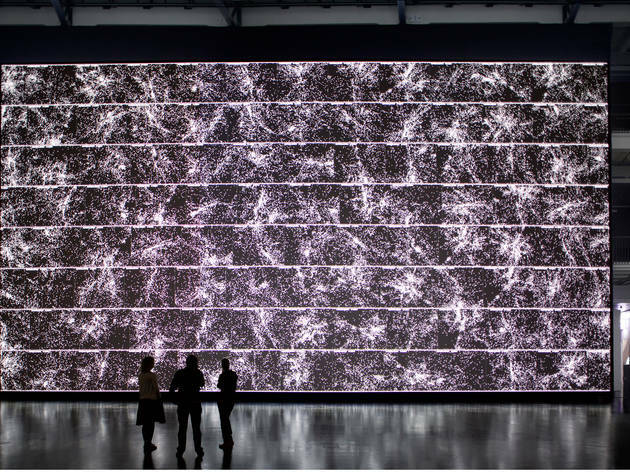 This is Ryoji Ikeda's third major audio-visual project at Carriageworks and another step forward in his exploration into the intersection between art and science. 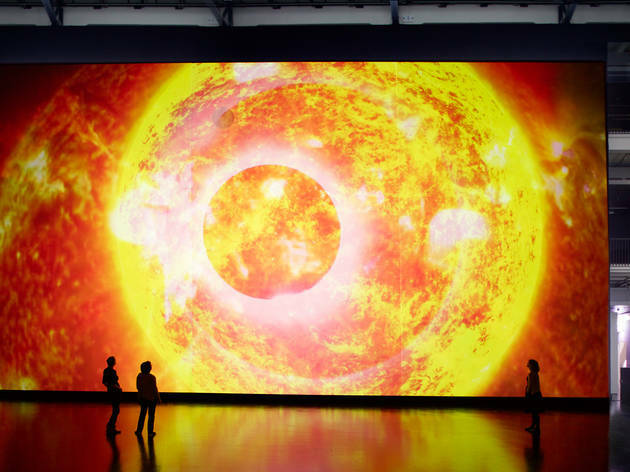 In fact, the two installations were developed during a residency at Switzerland's CERN, European Organisation for Nuclear Research. 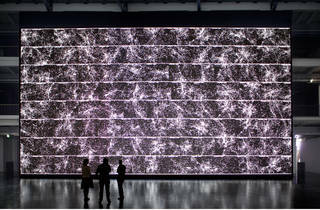 One is called 'the planck universe [micro]' and represents the smallest matter in the universe in a theatrical setting, taking over 172.8 square metres of the Carriageworks space. 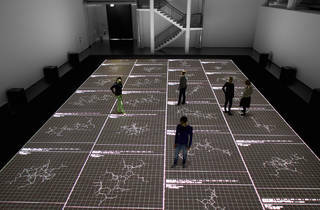 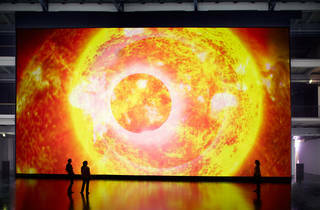 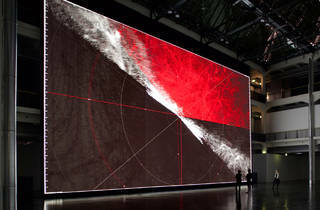 The other is called 'the planck universe [macro]' and shows the largest matter in the universe on a ten-metre tall projection screen. 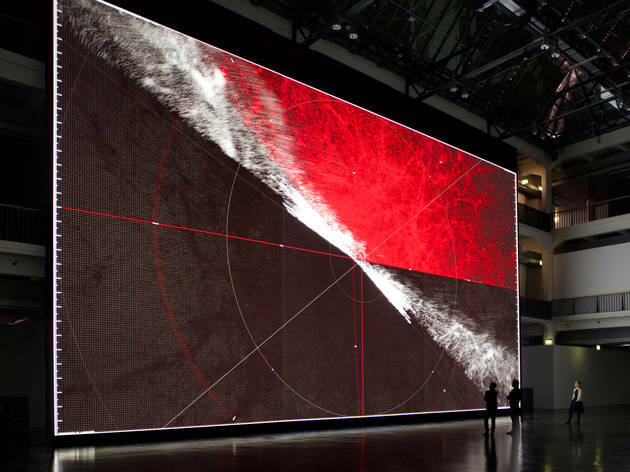 Ikeda started his career as a DJ and sound artist, and is known for his melding of striking visual elements – he's worked with projections and light since the 1990s – with electronic music, all coordinated with mathematical precision.